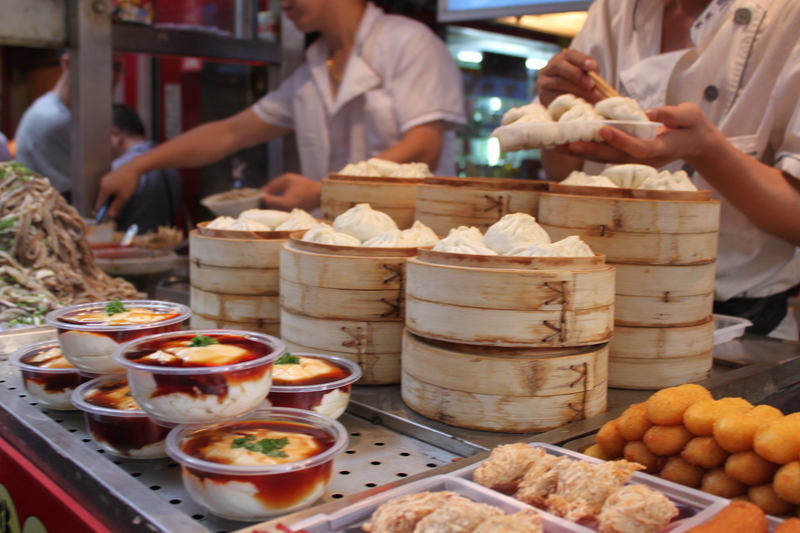 If you are looking for all of the exotic street food you imagined in China, Wangfujing Snack Street is your place. 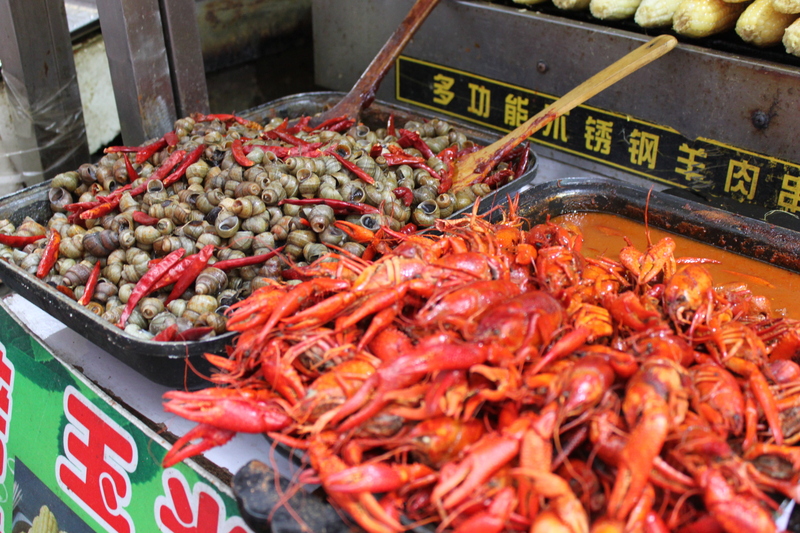 It’s geared towards tourists, not true connisseurs of these delicacies. 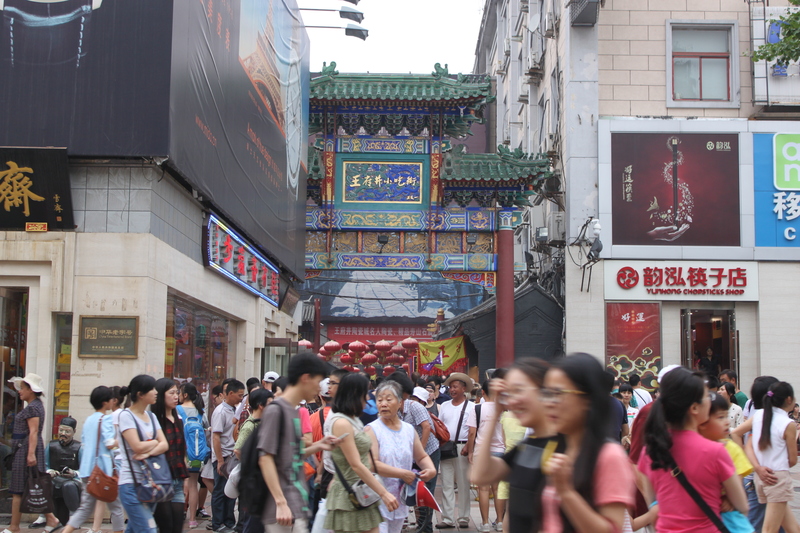 It’s bustling and crowded, yet to me, has the right kind of tourist-y vibe to it – accentuating and promoting traditional Chinese food in the form of small street stalls and slightly aggressive vendors. 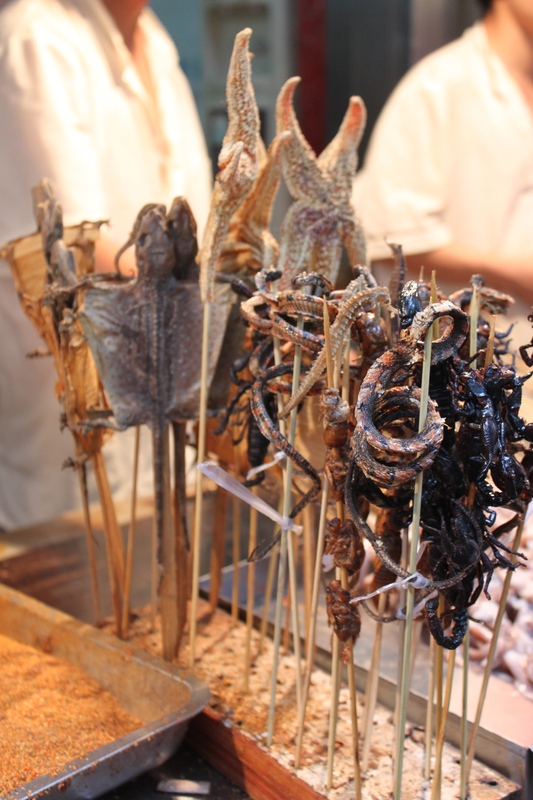 I honestly thought about trying a scorpion or a similar insect on a stick. After all, bugs are a great source of protein. 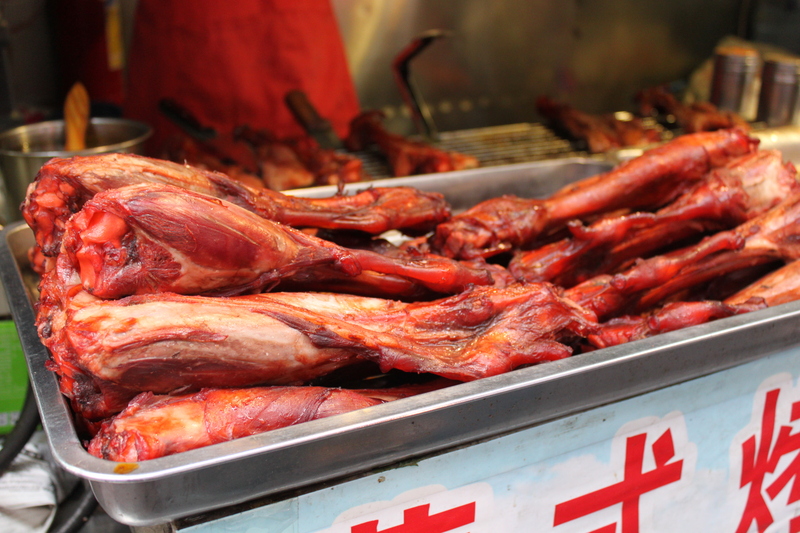 And, according to most people, they don’t taste like much – just crunchines on a stick. I hoped to have the chutzpah to go for it. 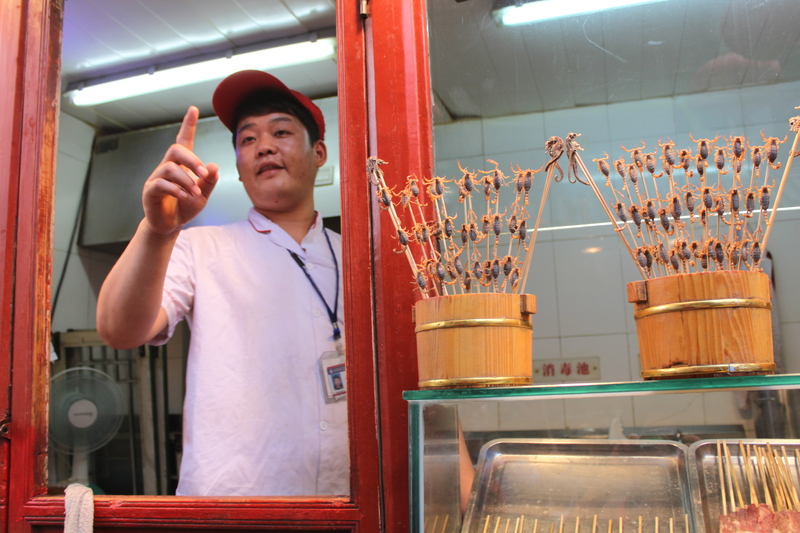 Unfortunately, what I realized upon entering Wangfujing Snack Street (which is actually a side street off of Wangfujing Street) is that they display the scorpions alive and squirming on their sticks. Count me out. Potato chips. 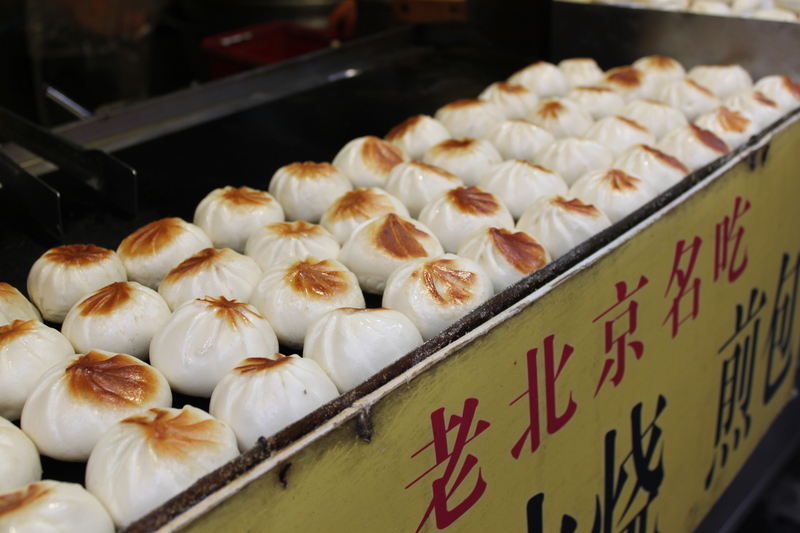 Probably the most popular snack I saw on Wangfujing with the Chinese. 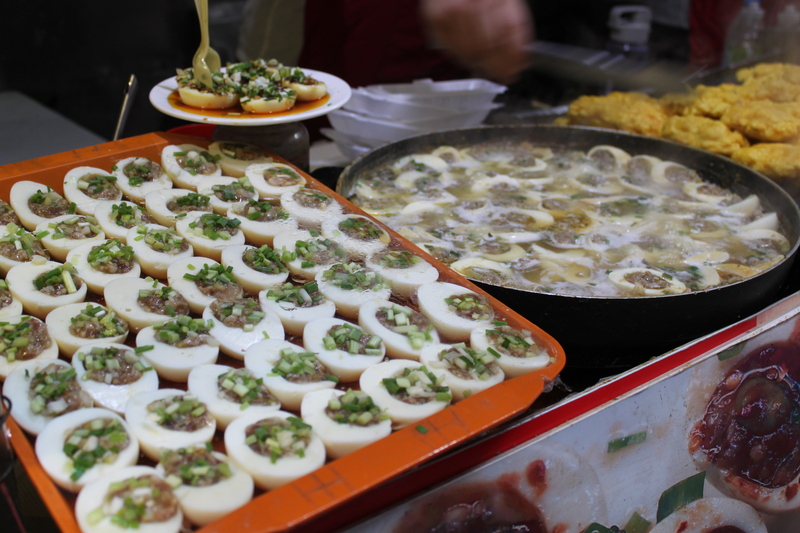 Eggs stuffed with meat, herbs, nuts, and flavor. Yogurt. 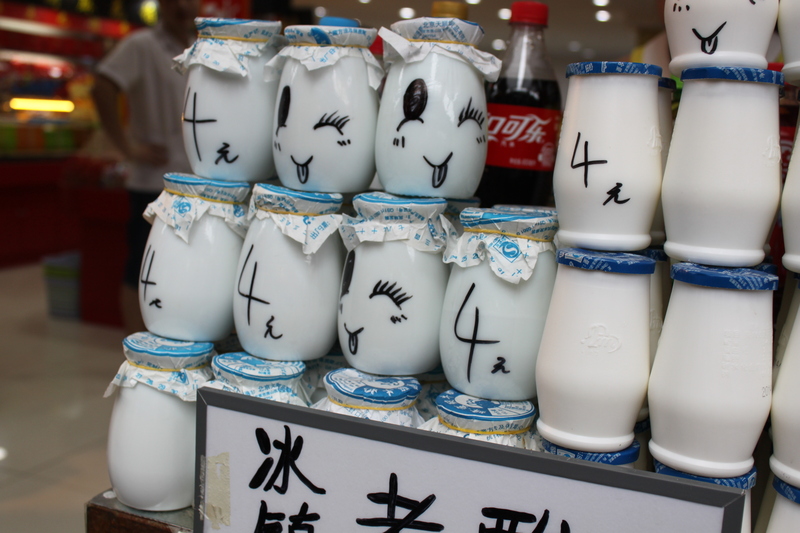 I have a daily intake of two SuanNai (Chinese literally call yogurt “sour milk”). My grilled squid. The actual meat doesn’t have much flavor, but the sauces and spices make it tasty. High in protein, low in satisfaction. Cow stomach served in a hot broth. At first, I was fine with it, but soon found that the intense innards flavor (I liken it to a “musty” flavor, but I’m not sure exactly how to articulate it) was too much for me. The vendor (and the only vendor on Wangfujing who sells these) here made me pay 30 yuan for a tiny piece of rice-stuffed bamboo. I was furious. It was bland. This was the best snack I had. 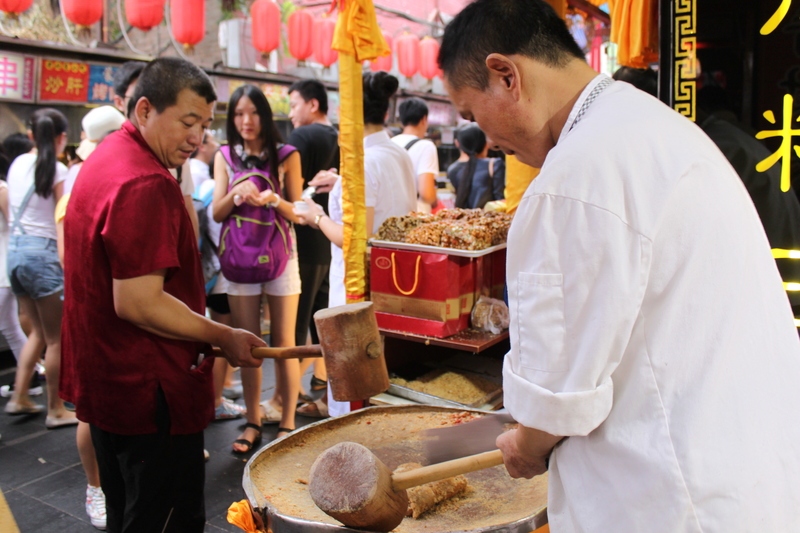 We had seen many vendors making and selling the raw dough. It was perfectly light and fluffy on the outside and sweet and paste-y on the inside.